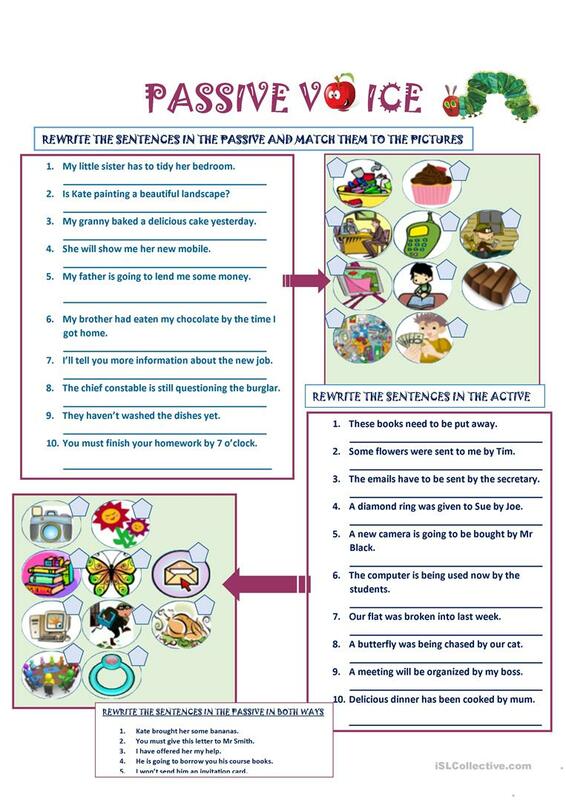 Students have to rewrite sentences in both active and passive voice, They also match the sentences to the pictures. As for the third exercise, they have to rewrite sentences containing two objects. This downloadable printable is recommended for high school students and elementary school students at Pre-intermediate (A2) and Intermediate (B1) level. It is a useful material for teaching Passive voice or active voice in English, and is useful for working on your class' Spelling and Writing skills.